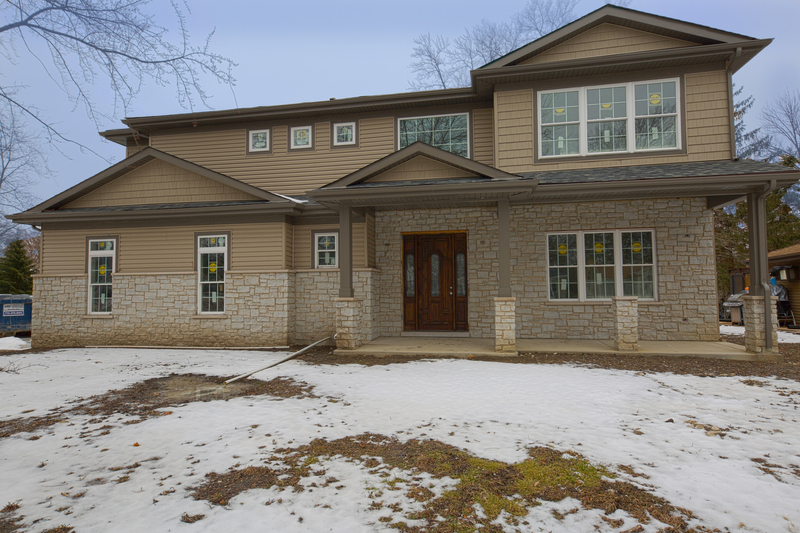 Live in luxury in this new construction home near downtown Arlington Heights! This 3,333 sq ft home features grand 10' ceilings throughout the main level. Large dining room can also be used as a formal living room. The gourmet chef's kitchen with over-sized island is open to a large breakfast room & spacious family room. 1st flr office. Addl luxury features incl 4" Brazilian cherry hardwood flooring, extra wide crown, baseboards, and 8' doors on first floor. The upper level offers 4 large bedrooms and 3 full bathrooms including a Jack n Jill bath. All bedrooms have substantial closet space & tray ceilings. The master bedroom en-suite and bathroom with double vanity & walk in closet are sure to impress! Laundry room with sink and cabinets are also located on second floor. The basement is unfinished for your creativity and features 9' ceilings, rough in plumbing, 2 stage furnaces, & 5 windows which provides lots of sunlight! Close to downtown, shopping, dining, train, and Prospect HS.